Thanks to a well-sorted chassis and Renault's motor, the car induces confidence in the driver to take it for a faster spin, says Abhijeet Singh Rathore. A sports car is something that can get your heart ticking the moment you spot one, irrespective of the fact whether you are a car enthusiast or not. 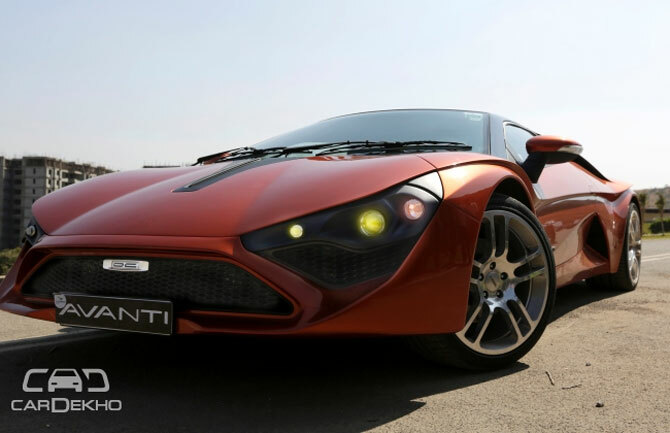 And, if you happen to be one of those people who keep sniffing cars every now and then, like myself, then you know what DC Avanti stands for. So there I was, right in front of a two-seater, mid-engined sports car that made the road look narrower and my face happier. India is not known as a market for fast cars. However, this scene is rapidly changing as more and more foreign manufacturers are exporting their fast cars to India. The only issue is pricing, which is exemplified by duties imposed on CBUs. 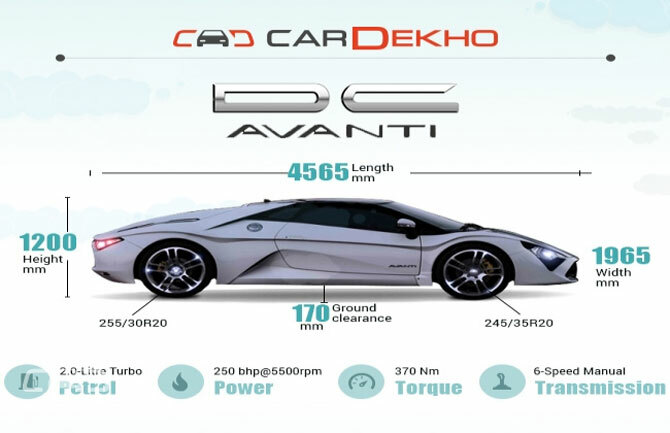 In times like these, the DC Avanti comes in as a decent offering, especially at an ex-base price of Rs 35 lakh. 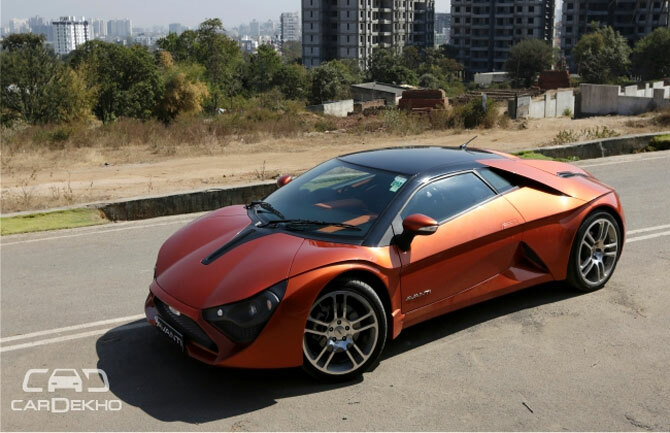 DC has long been acclaimed for producing some of the best-customised cars in India. It has made cars such as the 'Tarzan' for a movie with the same name, and numerous others. 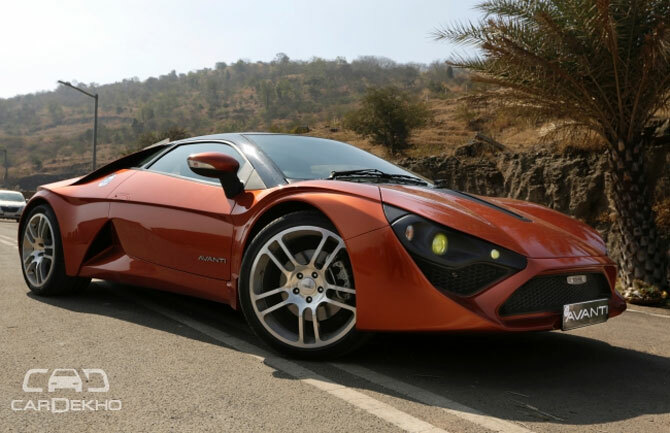 Nearly half a decade ago, DC spoke about the possibility of an affordable Indian sports car. Today, this feat has been achieved and I believe it just might work for many. That’s enough prattle. Here’s how it goes. To start with, it can be an odd-looking car for some; especially at the front, courtesy a gaping radiator grille, flanked by two small scoops. 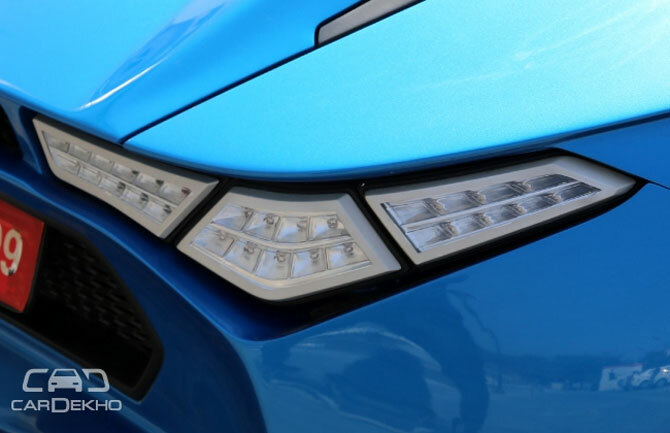 Then there's the headlamps housing, which cannot be defined as being of any definitive shape, but is quite unique. The car that I drove had separate circular lights for the headlamp, indicator and pilots. It did not appeal to me, but then DC allows you to opt for the higher spec LED lights for an additional amount. The front hood of the car caves in at the middle and then bulges over in order to accommodate the massive 20-inch wheels. 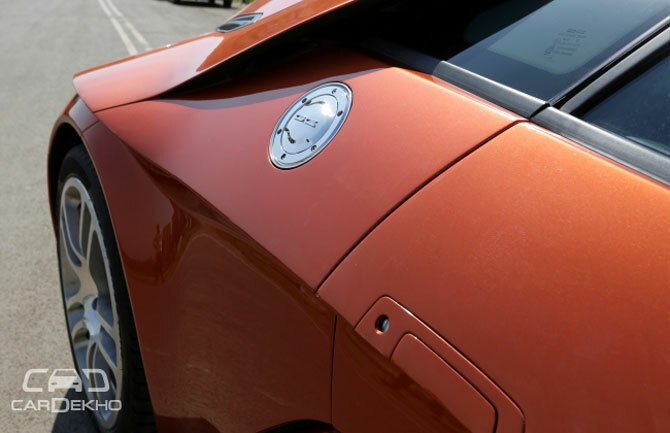 It also has a little heat dissipation opening in the middle of the bonnet, which also acts as a stylistic addition. Move to the side and the low-slung profile is an absolute stunner. However, I must add that the starkly designed flick or the wavy shoulder crease appeals from certain angles, but not from all. The door opener has nicely been frenched right over the shoulder crease. The scoops, apart from the fact that they look sporty, are functional entities in themselves. So it's not a regular kit car with flashy scoops but a proper sports car that requires the scoops to gulp air and send it to the motor. The louvred glass engine cover aids with heat dissipation, along with the svelte black ducts that are placed on either side. 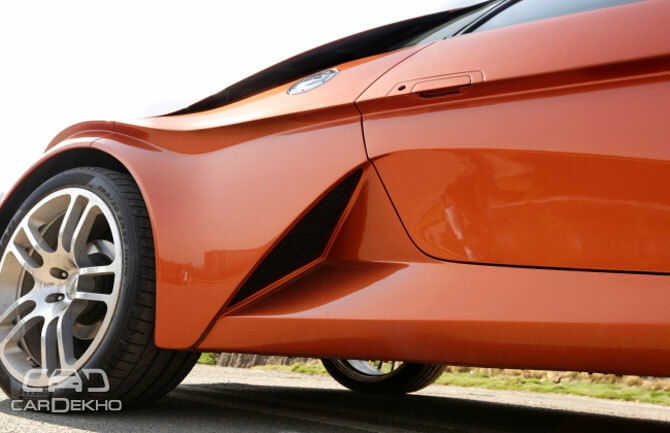 The wheels completely fill up the arches, while the 'Avanti' badges are perfectly placed at the bottom of the doors. Stand beside the car and its height becomes apparent. I am 5'7", and my inherent complex was instantaneously washed away by the Avanti. Despite a ground clearance of about 170 mm, it sits quite low on the roofline side. 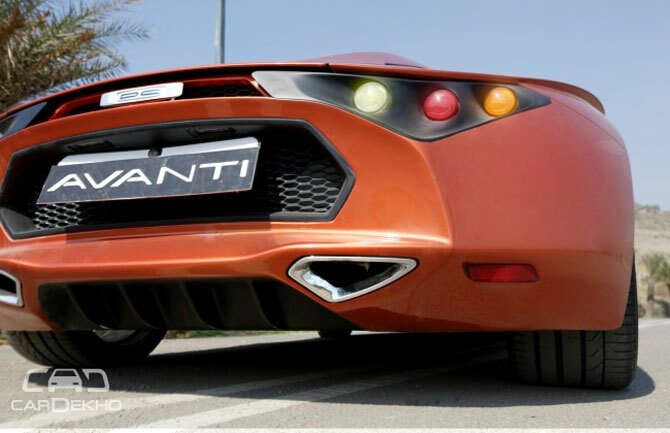 To give you an idea, the R8 has a ground clearance of around 123 mm and, surprisingly, is still taller than the Avanti! 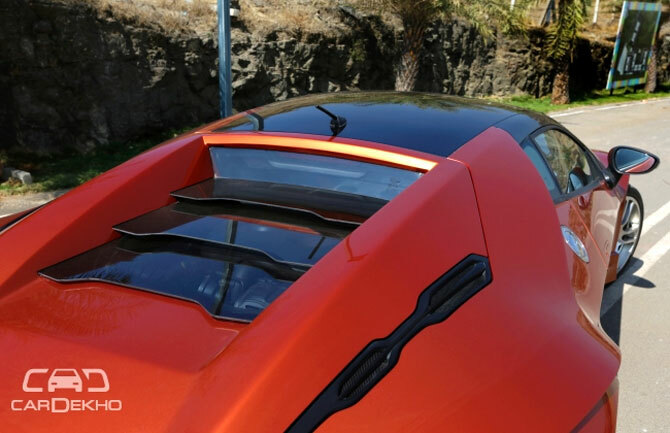 The rear further accentuates the sports car appeal with features such as the stepped glass engine cover and the two massive members bifurcating from the roof and dropping towards the tail. It not only reminds one of a rear-engined car such as a Lamborghini, but its wide rear gives it an intimidating appeal as well. However, at the same time, it’s quite podgy from the rear, as the sloping humpback ducks in steeply at the edge of the tail. 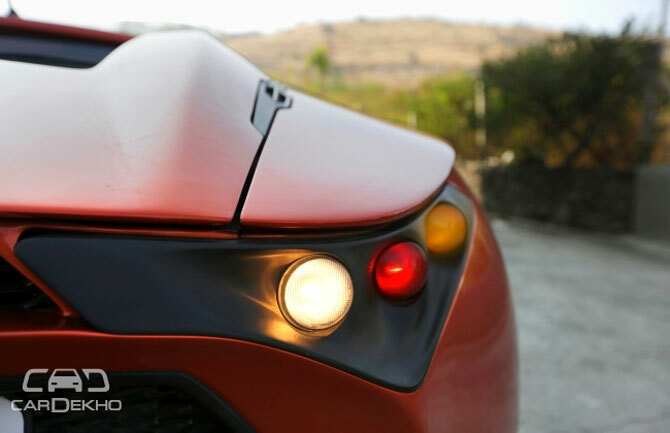 The tip of the engine cover draws a swoopy outline in order to form the tail. The tail lamps complement the headlamps and one can opt for the higher spec all-LED unit. The picture below shows the all-LED tail lamp. To be honest, the looks of this car aren’t everyone’s cup of tea, especially when you are looking at the photographs. But when you see the car parked beside you, it might just impress. But don’t judge it as of yet; wait until you have driven one. I do recall every second person drooling over the car as I gunned it down the narrow, twisted roads near Symbiosis, on the outskirts of Pune. So it definitely grabs a lot of eyeballs, smiles and wows. How is it to sit inside an Avanti? Step inside and you will be greeted by a wide cockpit, which is a reflection of the Avanti’s exterior set-up. Getting in is difficult, but then it's a sports car. There is no doubt about it: you'll enjoy crouching down, getting in line with the doorway and sliding into the bucket seat. Exiting is an equally engaging process and it will take some time to do it with grace, like in the movies. Mine wasn’t very hip-looking, as my legs weren’t able to touch the ground when I hung them over the lower door lip. 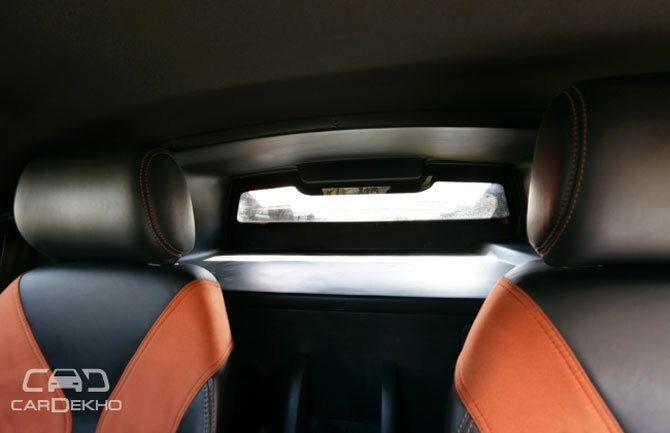 Moving on, the quality of materials will not let you down – the leather upholstery and the machined aluminium A/C vent housing had a certain smoothness to them. 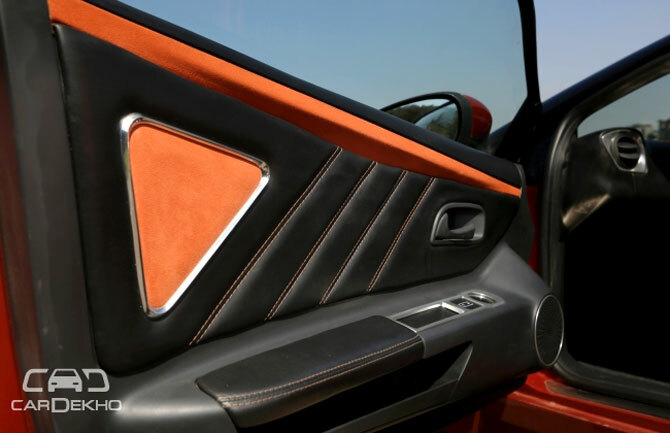 The contrasting orange stitching on the black dash looked well executed and added a sporty flair. However, a few plastic parts which stand out, such as the guide blades of the A/C vents and the central tunnel, were not very appealing. Also, the plastic parts (like the door beadings) are kind of shabby and their lifespan might be shorter than usual. 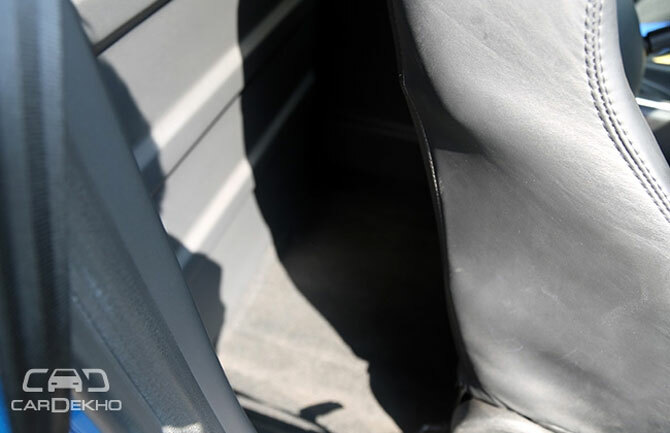 However, the parts, such as the door pads, seats and pretty much everything that makes contact with the driver's body were soft to touch and comfortable. 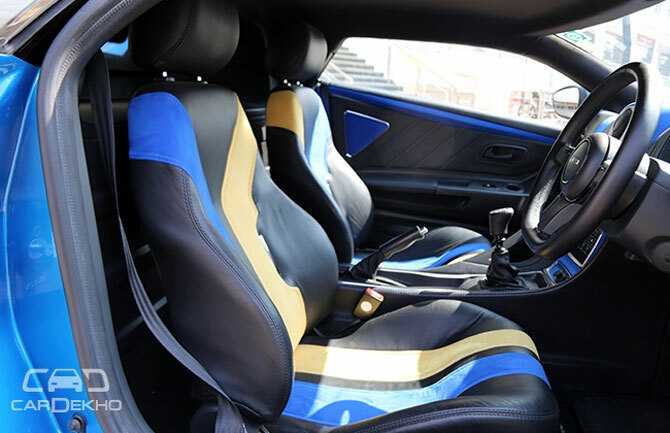 Ergonomically, the bucket seats hold you properly in one place and your feet go deep down in the darkness of the footwell. 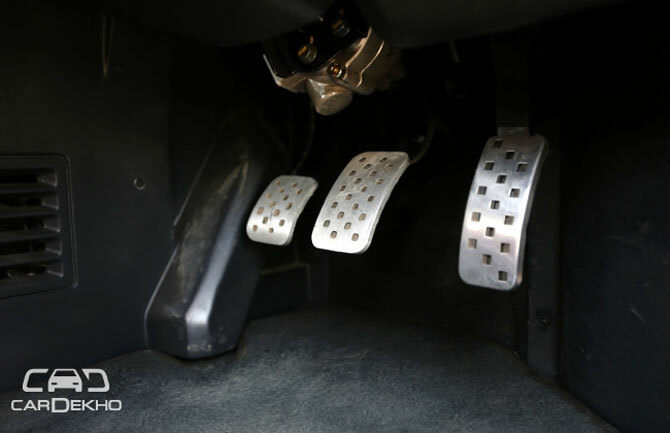 The lustrous pedals are well spaced and, when shifting fast, allow you to kick the clutch in and out. The sole issue is with the choice of shoes. You must choose wisely because my left boot (no. 9) was constantly scraping the power steering column and I had to adjust it regularly to avoid it. This got eliminated in my next encounter with the car, when I wore sneakers. 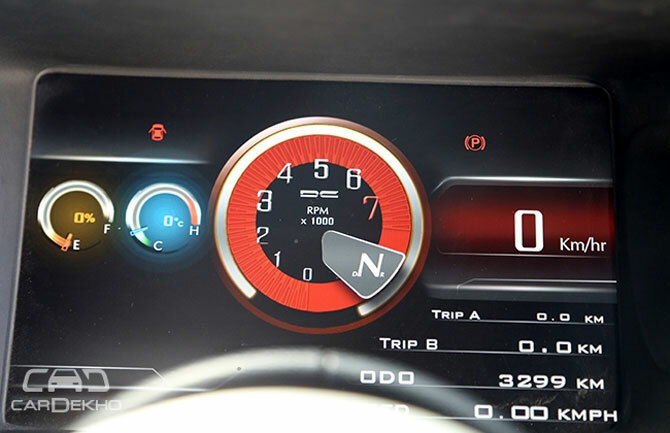 The instrument cluster in the road test vehicle was an all-digital unit. 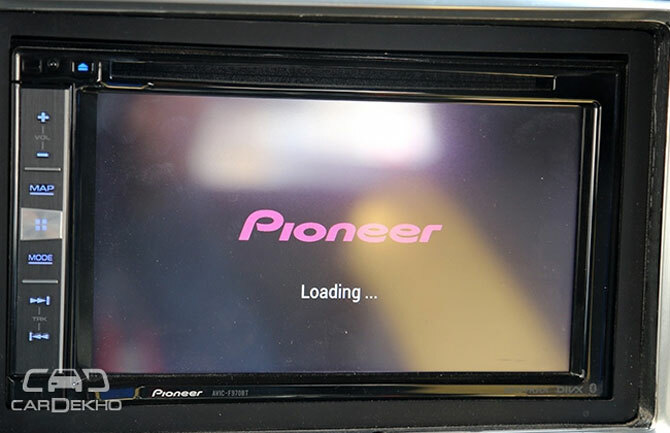 It provides all the necessary data, such as the fuel level, temperature, engine and vehicle speed. The graphics are not as flamboyant as one the Nvidia-powered units that we see in the modern Audis. An analogue option is also available. I personally would have preferred the old-school clock kind of an instrument, but then that’s just me. The tri-spoke leather steering wheel has a suitable diameter and is very comfortable to hold on to. It can be adjusted for tilt, but reach adjustment has to be done by sliding the seat. After the steering wheel, the shifter stick is the thing you will be clasping frequently, and it doesn’t look as sporty as the car itself. 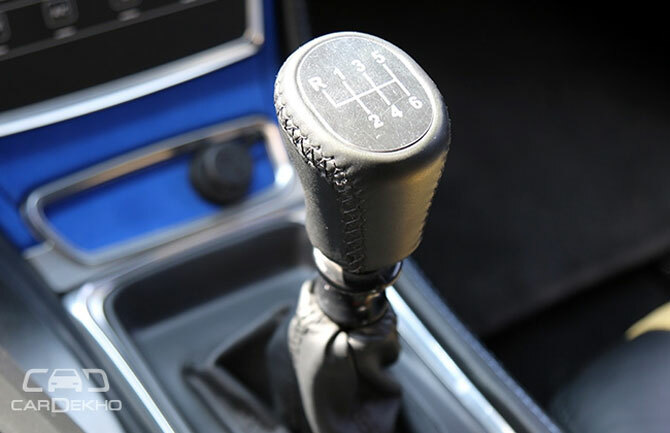 A gated shifter would have promoted a sportier feel; after all it is a sports car and you don’t expect the stick to resemble Hyundai’s. The central console comprises of a 7-inch infotainment system that supports navigation and doubles up as a reverse-camera screen. This system is married to dual speakers but, frankly speaking, all I heard was the yelling radio chap before I shut it off in order to concentrate on the drive. 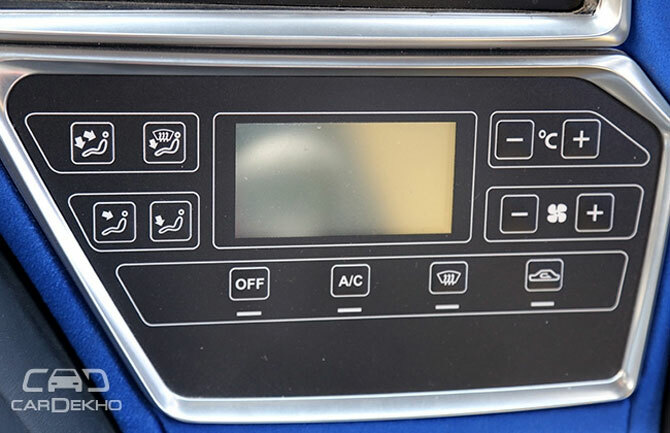 The A/C controls sit right below the music system and are well within the driver's reach, much like everything else. The switchgear is all electric and easily accessible, though the small screen takes some concentration or practice to read. The passenger feels comfortable, but only till the point that the car is being driven slowly. This is because, under acceleration or while the car is undergoing direction changes, one might feel vulnerable simply because the thing is so freaking fast. Cabin refinement is decent, if not the best. 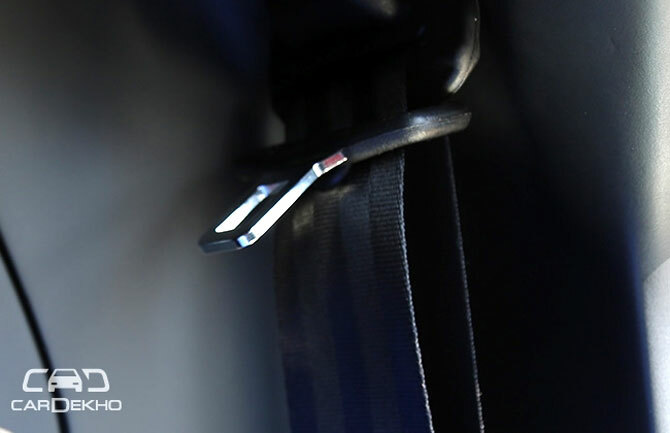 There were few issues, such as the seat belt buckle that has to be located at some point or the other. As shown in this picture, the buckle went all the way up to the mounting point. NVH levels are well in control. The cabin is shielded aptly from road noises and exterior disturbances. However, the whistle of the turbo and the engine noise readily filter inside when the clock (rpm) rockets past 2500 revs, and this is quite satisfying. 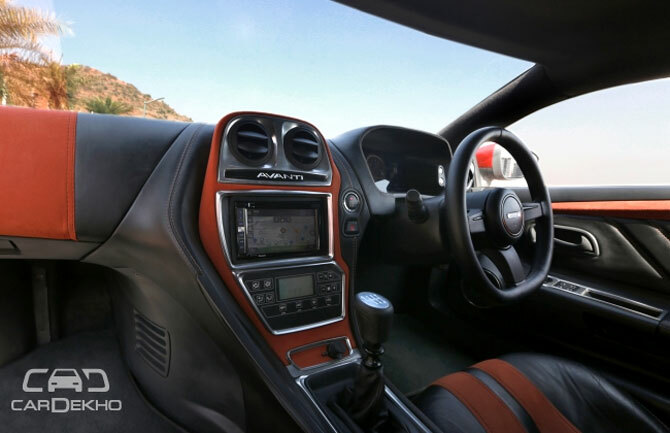 As far as the storage spaces are concerned, the options are limited – a small glove box, little pockets under the door's hand-rest and a cubby hole behind the handbrake for the phone. As far as luggage is concerned, there is hardly any space for a trolley bag. But DC does provide custom-made luggage bags for the Avanti at some additional cost, and they can slide behind the seats. Sliding the seats forward can create some additional space, but it is all at the mercy of the driver’s/passenger's height. 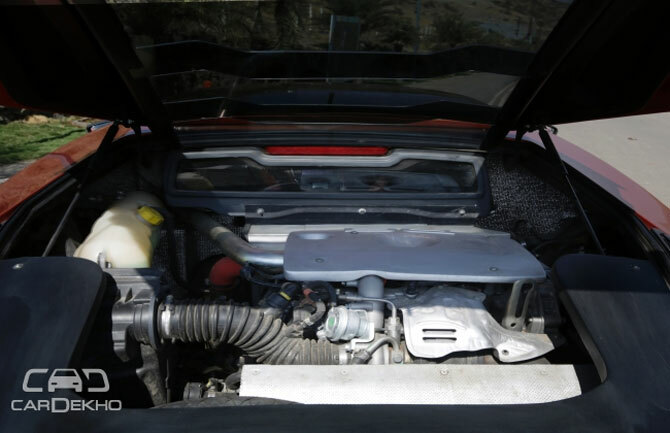 This is where almost every sports car struggles and the Avanti is no exception. For starters, there is no rear-view mirror because the rear windscreen is a sleek glass panel. All you can see from it is more glass! 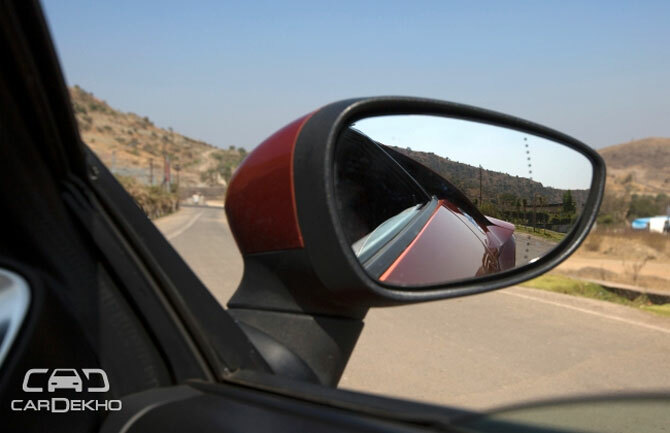 The side-view mirrors are at your disposal, especially when it comes to locating trailing vehicles and, with the Avanti, there will be several. 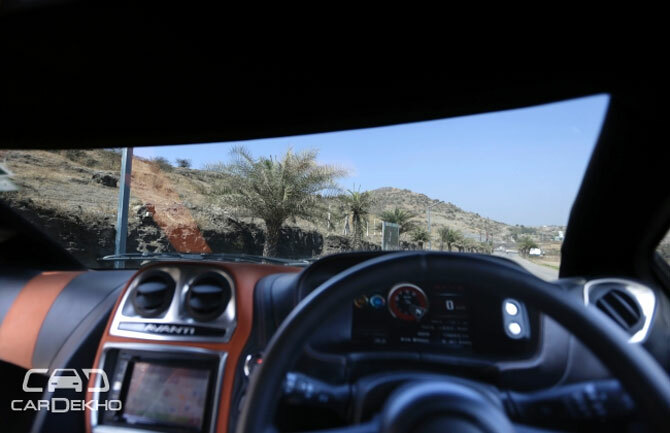 The driver's view is restricted by plenty of sports-car aesthetics. The highly raked windscreen allows for a very narrow window in the front and looking far away is the only option to get a clear idea of the road ahead. 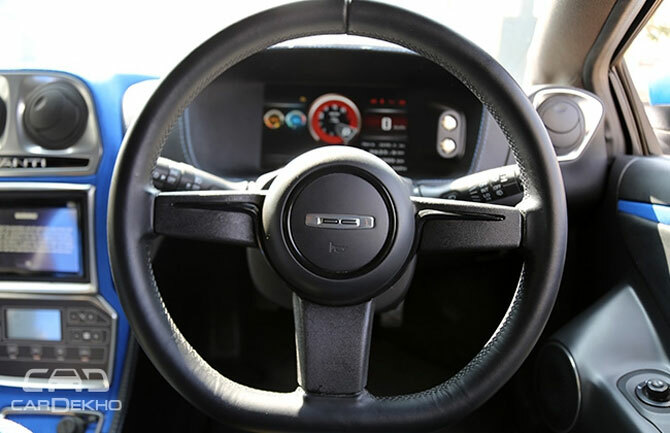 The dash is upright, unlike the one in Lamborghinis or Porsches, and a slanting dash will be a welcome move. Then there is a low seating point that automatically makes side visibility a task; locating curbs is difficult since you can’t peep over the window line. So, the distance from any given obstacle has to be assumed most of the times. The car might or might not appeal to you visually, but take my word for: the way it drives will definitely make you fall in love with it. It is powered by a 2.0-litre turbocharged petrol engine, sourced from Renault, and is good for 250 bhp of power as well as 370 Nm of torque. It is transversely placed and is mated to a 6-speed manual transmission that sends power to the rear wheels via an open differential (limited-slip diff is not present). The manual is a USP, since performance car manufacturers such as Mercedes and BMW follow a ‘no manual gearbox’ policy for India. 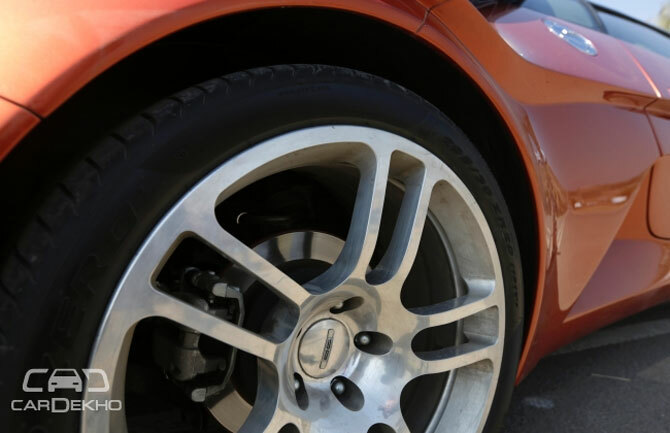 The wheels are massive 20-inch naked aluminium, with five twin-spoke layout, and are shod with the Pirelli Pzero tyres. With 255/35R20 upfront and even wider 295/30R20 out back, the car virtually never loses grip on clean tarmac. Though, it won’t shy away from fishtailing on sand spilled roads, which is a good possibility in India. 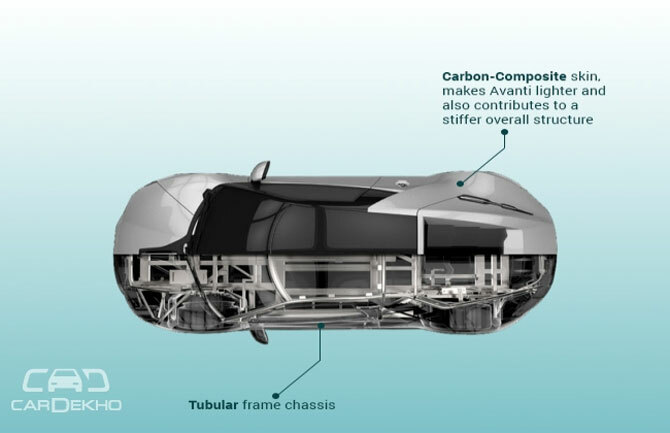 Constructed using tubular steel frame and a carbon-composite skin, the chassis of the Avanti is adequately stiff. It lends a composed and held-together feel to the car and inspires confidence. 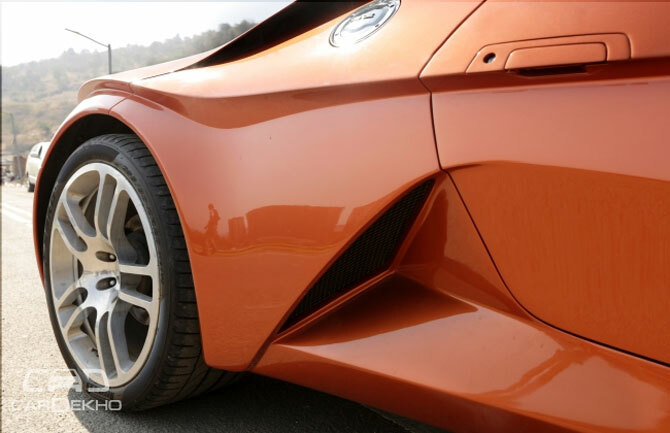 The low-slung set-up of the car means minimal bodyroll, which in turn allows you to take curves at higher speeds. Like every other sports car, it lights up all your senses and demands that you pay attention when you nail the throttle pedal. It picks up speed fast, not sure if it is 6-second fast, as the manufacturer claims. In first gear, it picks up like a naturally aspirated engine, till the turbo kicks in at nearly 2200 rpm. After this point, everything gets very dramatic, the turbo whooshes build up promptly. The gush of power keeps on pouring till the 5500 marker rev range and shifting up just makes the car even faster. The clutch bites onto the flywheel, which results in a jerky shift, and the sensation is rather pleasing. Then it just propels in the direction its nose is pointing. 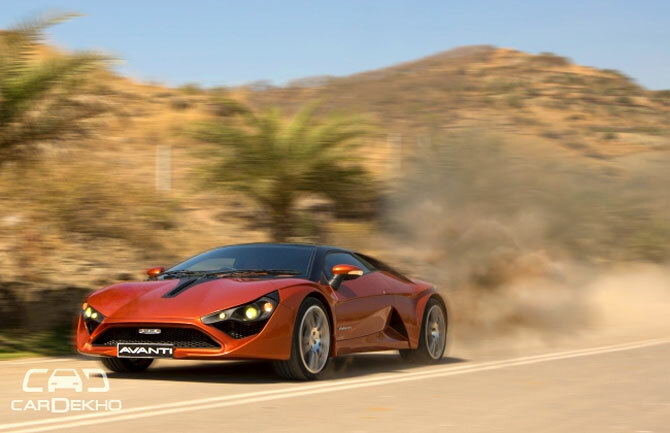 The third gear gets even more engaging since, under hard acceleration, the Avanti easily flies past to a pretty good (or might I say unlawful) speed. The fourth, fifth and sixth cogs will help you reach the top speed, which sadly has been limited to 200 kmph. However, when it comes to prancing in the city or having simple, clean fun, applying the first three gears is the way to go. Strolling around in high gears is easy and, in sixth gear, the car shows no signs of judder. At 65 kmph, the revs stay in the humble vicinity of 1100–1200 rpms. This is just an example of the refinement of the drivetrain, but the fourth and the fifth gears are equally sorted. 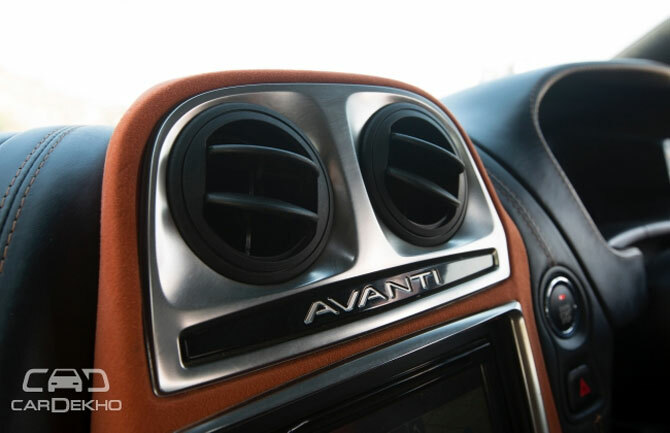 However, the meat of the power lies in the 2400–5000 rpm window, and the Avanti really came alive at that point. Braking? All four disc brakes offer a fair amount of stopping power and it is accentuated by the grippy Pirelli tyres. However, the brake bite is progressive rather than sharp. 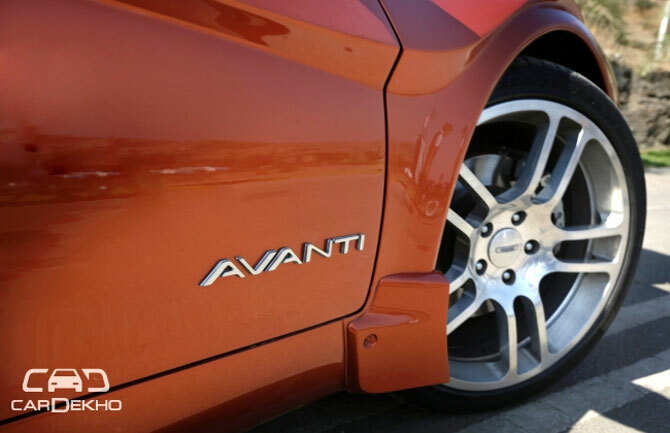 A sharper bite will be more reassuring and lift the Avanti's sports car appeal. The suspension is on the stiffer side, but the dual wishbone front and rear independent setup makes cornering a breeze. The independent wheels adjust to the modulating banks of the curves. Its KONI shock absorbers deal with mild bumps and road undulations in a composed manner and keep the ride smooth to certain a level. Though, due to the suspension travel shenanigans of a sports car, the shocks bottom out readily, followed by a thud. This can happen even when the Avanti is rolling over speed-breakers or potholes at as low as 20–30 kmph. Thankfully, the ground clearance of 170 mm is enough to avoid large speed bumps. It does affect the driving dynamics a bit since you feel slightly over the ground despite its low stance. I think DC has been very generous in finalising this part, which is good. However, a 10 mm drop would have made it a bit more connected to the road while still letting it jump over most obstacles. Speaking of the steering, it is on the stiffer side and is very precise with minimum steering play. It lets in a lot of feedback from the ground and turning it by mere 2 to 3 degrees will make the front end move. The large turning radius can be an issue, but other than that it's just fine and lets you play around easily. 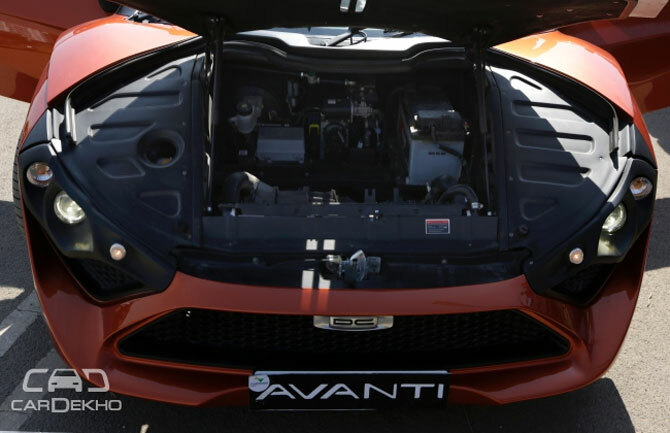 Though it would be more appropriate to put the Avanti on a track test so as to get a better understanding of the steering, suspension and its high-speed driveability. Just to set the record straight, the folks from DC told me that they have benchmarked the steering and the ride against the likes of the Porsche 911. On the safety front, the tubular frame chassis forms a safety cell for the cockpit, which acts as a roll cage. 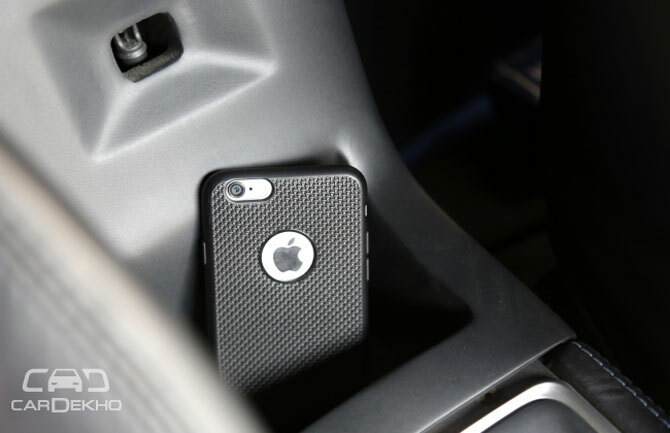 This keeps the passenger cell intact in case of a crash. Strangely, there are no airbags on offer. Apart from the fact they make a car lot safer, it might be a critical criteria for some to not buy this car. In a car that is so mindfully engineered, providing airbags would have made its appeal stronger. As far as active safety features are concerned, it gets Continental-sourced ABS/EBD unit. To sum it all up, the Avanti will fulfil one's needs for a sports car, especially for those who want to own one, as it doesn’t cost a bomb. It is fun to drive, is simple, but is pleasantly complicated when it comes to visibility or driving it fast. It is also good as a beginner's sports car, for it is adequately fast, but not as intimidating, once you get in-sync with the car. Yes, it has some niggles, but then it's a handmade car, unlike a proper production vehicle from some big-time manufacturer. Because of this, the quality cannot be like a Porsche or the BMW, but then we know how much these two would cost. 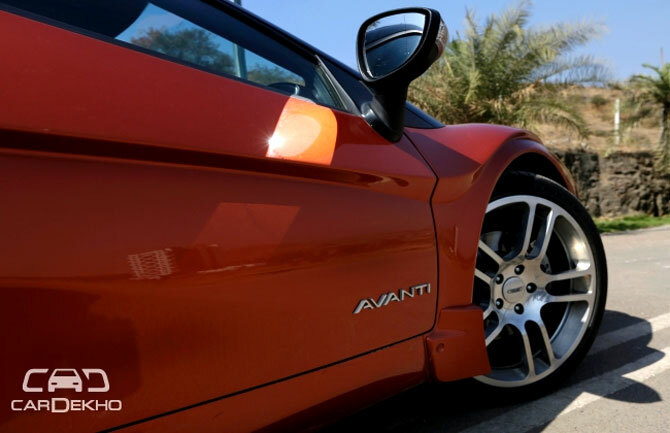 So if you are looking for a car which is a hoot to drive, impossible to ignore on the roads, and is decently priced, then the Avanti is your answer. The Avanti fills a void and is here to give us that essence of motoring that was lacking from our lives. PS: You must be wondering about the images of two cars. You see, we got the chance to drive two different Avantis, and two handmade cars never are the same, which helped us understand this rare creature better.